The Texas legislature has given judges and juries broad discretion in assessing punishment, especially for 1st Degree felonies. If you’re convicted of a 1st-degree crime and have no criminal history or enhanceable aspects to the offense, you face anywhere from 5 to 99 years in prison. This can lead to unfair discrepancies in sentencing for defendants that commit the same kinds of crimes. Sometimes the personality and history of the person on the bench ends up being more important than the facts of the case (e.g. is the judge a “hard nosed” ex-prosecutor, a former civil attorney with sympathies for those with substance abuse problems, or a women’s advocate who absolutely hates family violence cases). And, if you’re going to the jury for punishment, it’s basically a complete wildcard. Texas repeat offender statutes complicate matters. 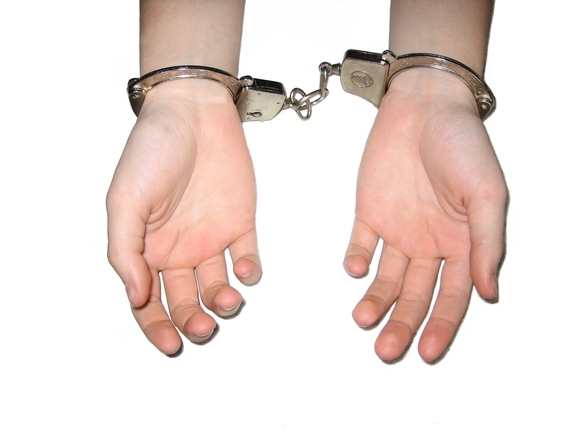 If you’ve been consecutively convicted of two prior felonies, the prosecutor can indict you as a habitual offender. Upon conviction, your minimum prison sentence is 25 years. Marijuana Edibles in Texas: Worth the Risk? As marijuana becomes legal in more States, the States where is it still illegal (Texas) are happily continuing to arrest and prosecute those that possess it. As you come back from Colorado with your legally purchased marijuana, you should know that not all marijuana is treated the same in Texas. Possession of marijuana in its plant form will most likely be a misdemeanor – you have to work to get to a felony – we are talking over 4oz. If you are interested you can look at the statute here: Health and Safety Code section 481.121. 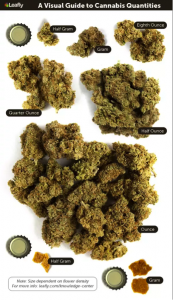 This visual guide found on Leafly.com gives you an idea of how much marijuana you can carry and still be in the misdemeanor range. Facing felony criminal charges in Montgomery County has been increasingly difficult for defendants who have to deal with both the underlying charges and onerous conditions of bond. But things have recently gotten worse. The Montgomery County Adult Probation Office has decided to implement a new random drug and alcohol test policy. Under this new policy (it’s been around for a few months now), Defendants must call in to the probation department EVERY DAY and enter in a unique pin number. An automated system will then inform them whether or not they have to submit to a urine analysis that day. Because the system is randomized, you could be tested once a week, twice a week, or have no tests for two months. There’s no way to predict the frequency of tests for any one client. Many people come into my office wanting to know if they can “go on probation” to avoid jail or prison time. The first thing I tell them is stop talking about pleading guilty – it’s always the State’s burden to prove you did the crime, and sometimes the best option is to try and beat the case, either through pretrial negotiations or jury trial. But when a plea is in a client’s best interest, I always take the time to explain that there is more than one option to avoid jail or prison. In Texas a judge can defer a finding of “guilty” and place you on “deferred adjudication,” or you can be found guilty by a judge or jury and be placed on what is called “straight probation.” In this post I try to outline the major differences between these two types of dispositions. As always, your situation is fact-specific. Don’t mistake this general primer as legal advice, and make sure to talk with your attorney before making any decisions related to your case. Governor Greg Abbott recently signed a law which make significant changes to the way a grand jury is selected. The old “pick your pal” method of selecting grand jurors is now history, but the new law doesn’t address other problems with the grand jury process. A grand jury is a group of 12 citizens selected in a particular jurisdiction to decide whether a person should be indicted for a felony offense. Unlike the familiar jury in the courtroom (the “petit jury”), which is empaneled to decide whether a person is guilty or innocent of a crime, the grand jury has to answer a “threshold” question — whether there is probable cause to accuse a person of a specific crime or crimes. So the grand jury acts as the justice system’s gatekeeper. Defendants new to the criminal justice system in Texas often don’t understand the hazards of being on pretrial conditions of bond. People generally think you simply find a bondsman, pay them 10 percent of the bond amount, then do a quick walk through the local county jail and wait for your case to get resolved. Few defendants understand how easy it is for a judge to issue an order of arrest and place them back in jail indefinitely, and few defense attorneys properly explain this process to their clients. If you are out on bond facing criminal charges, here’s a few pointers. First, expect to log in some serious time while waiting for your case to get resolved. You might be surprised to find out that defendants on conditions of bond have to report to the same system as those who have already been found guilty of a crime — the Adult Probation Department. This means that on a monthly or even weekly basis you have to drive to a probation office. You also have to submit to drug tests just like you would while on probation. You can get drug tested at court, when you go to meet your probation officer, or you may get a call for a random drug test at any time. And remember, you haven’t been convicted of crime! On March 25, 2015, the Fifth Court of Appeals in Dallas reversed various bribery-related convictions of David Cary. Mr. Cary had been accused of secretly funneling money to attorney Suzanne Wooten, who was running for the 380th District Court bench in Collin County, which is just north of Dallas. The evidence showed that Mr. Cary and his wife funneled a lot of money – around $150,000 — to the Wooten campaign by making numerous large payments to the campaign manager, who then used the money to pay for campaign stuff, e.g., signs, a consultant fee, etc. Revised Online Solicitation of a Minor Statute set for hearing this Wednesday. As most defense attorneys in Texas know, the State’s Online Solicitation of Minor statute, Texas Penal Code Section 33.021, has run into trouble. The Court of Criminal Appeals ruled part “b” of the statute unconstitutional in 2013 in the unanimous decision styled Ex parte Lo. The Court reasoned that the statute was overbroad and unconstitutionally vague, and that the speech it criminalized included too many types of speech protected the First Amendment of the Constitution. Attacks of other parts of Section 33.021 have followed, most centering on either the problematic definition of “minor” (according to the statutory definition, a “minor” can be someone who represents themselves as younger than 17, regardless of whether the defendant actually believed this person to be the represented age) and on part d of the statute, which, strangely, prohibits a “fantasy” defense (so that a defendant could engage in sexual exchanges online that the person fully intended as merely age role-play, for example, with another person whom the defendant did not believe to be younger than 17, and still be guilty of a felony). On February 4, the Ninth Court of Appeals in Texas provided a way for prosecutors to indict synthetic marijuana cases. In State v. Moseley, the 258th District Court in Polk County granted the Defendant’s motion to quash the indictment. The indictment in question did not identify any of the specific substances listed in Section 481.1031 (that would be “Penalty Group 2A”) of the Texas Health and Safety Code, but just referred generically to “a synthetic chemical compound that is a cannabinoid receptor agonist and mimics the pharmacological effect of naturally occurring cannabinoids.” At the suppression hearing, the defense successfully argued that this generic reference was insufficient to inform a defendant that he had committed any particular offense. The cornerstone of the defense’s argument is that Penalty Group 2A provides an exclusive list of prohibited synthetic substances. So if the State indicts a person for possessing a controlled substance under Penalty Group 2A but fails to specify one of the particular substances listed in that group, then the State has effectively failed to allege an actual offense. In its appeal, the State argued that it did not have to specify a particular substance, but could just rely on the “general requirements” set out in the preamble of Penalty Group 2A.